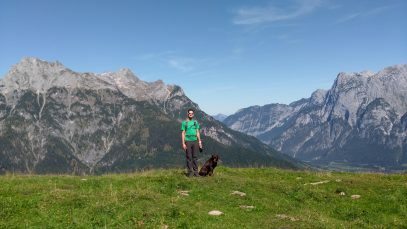 Juli Bergi, 26 – a language assistant from Austria. 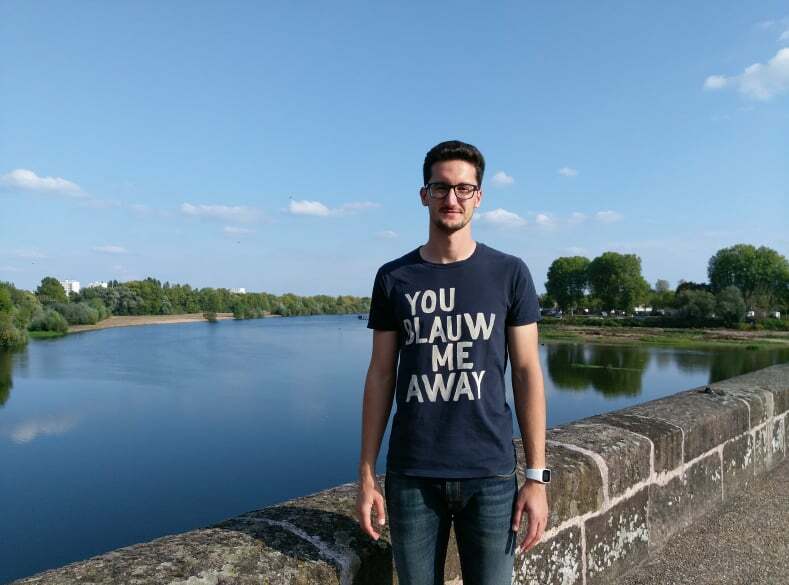 He’s staying in Nevers for 6 month, we met with him to talk about his experience before and during living in France. 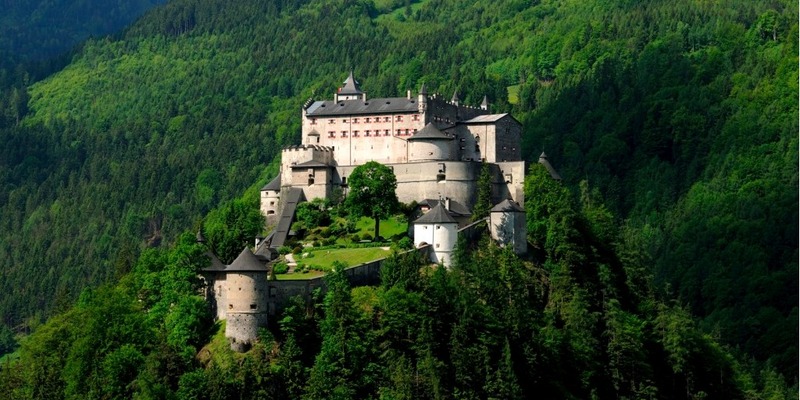 I am from Werfen, it’s a half an hour away from Salzburg, Austria. It is a small touristic village. It is called “Sprachassistenz“, avaluable normaly for students, it’s orginized by the Austrian Ministry of Education Sience and Research. And what have you been doing before coming to France? I was studying French and Sports, I also did a “stage” for an year as a teacher, also I got a Master Degree. What are your duties as a language assistant? Supporting the teachers, working in a little groups up to 12 pupils. We are doing a lot of activities: sometimes I’m telling about my country, we are watching videos together, listening to music, discover Salzburg that way. Usually I prepar activities as I want, sometimes I do what teachers tell me to do. I’m working 12 hours per week, but I also prepar activities, so it takes maybe 20 hours a week total. Our mission is represent our country to make people curious about it, let them discover it. For us it is opportunity to improve our language to discover new culture. So it’s good for pupils and good for us. Why did you decided to do language assistance in France? It was hard to find a job in Austria as a teahcer. For young teacher it’s even more harder. As I needed to wait till September to know if I got a job, I decided to go abroad and discover new culture. Have you already travelled in France? In Cannes, Paris, Montpelier. But I was spending just one week there, so that’s not long. Also at Dijon. I want to go to Lion, Orleons, Normandy, Toulouse. Do you think it’s easy to find something to do in Nevers? I think it is kind of easy. There are a lot of events in Nevers. I live with 2 other assistants from different countries so it’s easier to go out together. I like Belzébuth, I have been there 3 time for the concerts, it was cool. How it is – to live with people from different countries? It is the first time I live in collocation. The meal habits are quiet different. For example Maria, she is from England, she usually eats a hot meal for a dinner and something cold for a lunch. For me it’s contrary. For a dinner I eat some bread, cheese. It is a good experience. It is important to talk with each other if there is an issue, to deal. What are the difference between teaching in Austria and in France? There are a lot of differences. For example in Austria pupils stays in the same room during the classes, they change just for a Sport. Here in France there is one room for one specific subject so pupils move between classes. Also the classes are bigger here – around 30 pupils. In Austria it’s around 13. It’s more difficult to teach in bigger class because of the different level of language. Also because pupils start to learn language starting from different age. Usually pupils are kind and they are listening good. I am studying in three schools – Raoul Follereau, Jules Renard and Alain Colas. I have my schedule and it’s really easy to go from one school to another. Tell me more about your village! 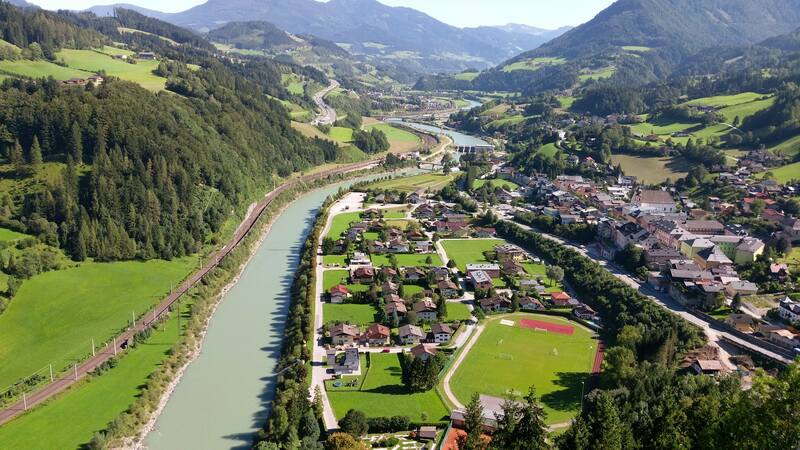 So I live in a village called Werfen, it’s about 3 000 inhabitants. Each year there are 300 000 tourist visiting my village. So it’s kind of touristic. We have a medieval castle and during my holidays or studies I worked there as a guide for German and English groups. Also we have an ice cave, the biggest in the world. We have mountains, very beautiful in winter. 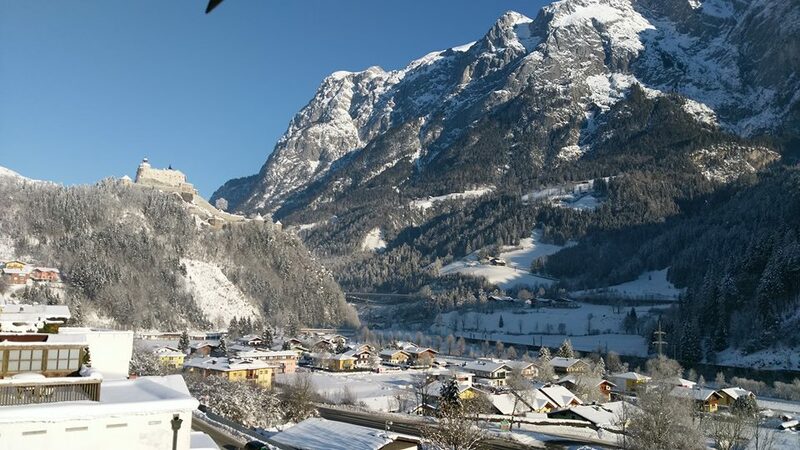 There are a lot of skiing places just 15-30 minutes away from Werfen. What are the advantages of being language assistant? You will improve your language, discover new culture, you meet a lot of friendly people. Make a lot of experiences. For teacher who teach foreign language it is important to go abroad. I can highly recommend it. Which qualities are important for becoming a language assistant? You have to like teaching kids, teenagers. You need to be patient, open, try new things. Normally people like you because you are not just a “normal” teacher, you are from abroad, so they are very interested. 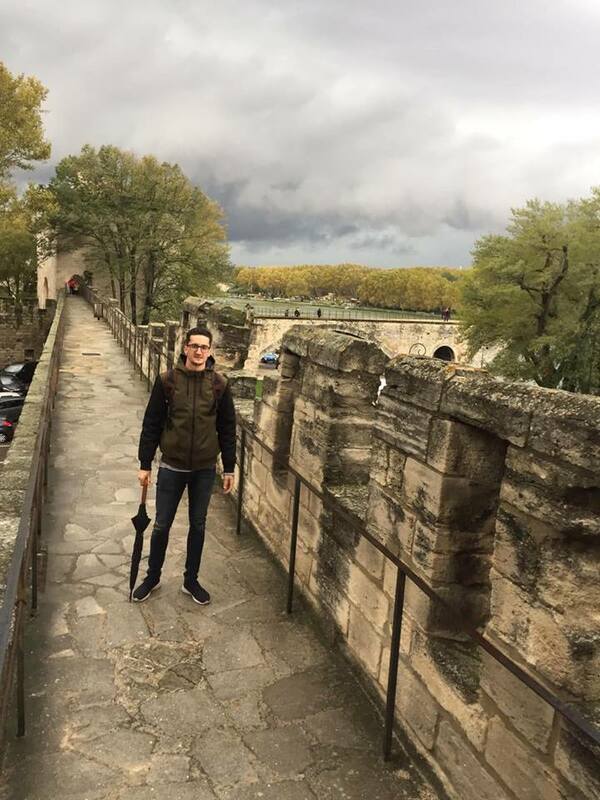 What you want to do after your language assistance in France? I will look for a job. Teaching is something that I like to do. This job is not routine. You have a lot of classes, pupils. As a teacher you are kind of a “boss” and you can do your job in your way, you have your space. How do you usually celebrate Crhistmas in your familly? We start from putting up and decorating a Christmas tree, usually on 23 of December. On 24 we eat soup with vegetables and meat for lunch and for a dinner we have special sausages that we eat just on Christmas or on Easter. We are singing in front of a tree and singing different songs. Usually we celebrate it with the closest family. But on 25 we invite other relatives and on 26 we invite friends. So we celebrate Christmas during 3 days. Thanks to Juli for a talk and wishing him fun and enriching time here in Nevers!